Retail Sales in the U.S. posted their smallest increase in the last six months during August as consumers did not spend as much on purchases of clothing or motor vehicles. However, an upward revision for July data helped to keep expectations intact for strong growth during the third quarter. On Friday, other data showed the largest drop in prices of imports in over 1 ½ years during August amidst the decline in the cost of fuels and many other goods. The weak price data for imports came following the announcement of soft inflation for August. Signs of less consumer spending and inflation have not changed the thought that the U.S. Federal Reserve will increase interest rates in late September. The central bank of the U.S. has increased interest rates on two prior occasions during 2018. 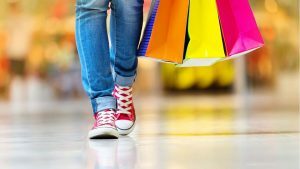 The U.S. Commerce Department announced that retail sales were up slightly by 0.1% during August, which is the smallest increase since February. The data for July was given an adjustment upwards to show sales increasing 0.7% rather that a previously released figures of a gain of 0.5%. Economists forecasted that retail sales would increase 0.4% during August. Retail sales for August were up 6.6% from August of 2017. Excluding autos, gasoline, food service and building supplies, retail sales were up 0.1% in August. The so-called core retail sales are what correspond the closest to the component for consumer spending in the gross national product. Annual growth in wages increased at the fastest pace in over nine years during August and there were a record number of job openings at 6.9 million during July. Spending has been supported by higher earnings and tax cuts along with high sentiment amongst consumers. The dollar was up against a host of currencies after the data was released. Strong growth is expected in the economy during the third quarter, but a growing trade war between the U.S. and China has cast a long shadow over the long term. Last week President Donald Trump threatened more duties on $267 billion of Chinese products over and above the list of $200 billion in tariffs that are awaiting his final decision.